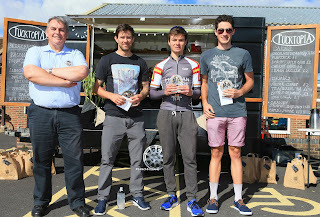 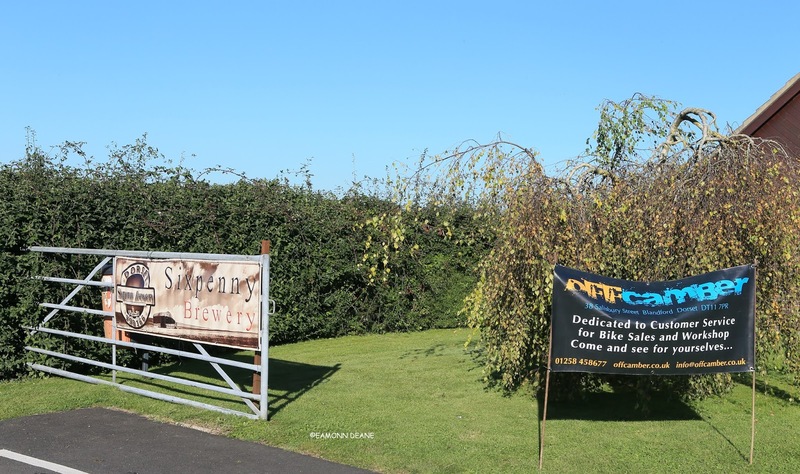 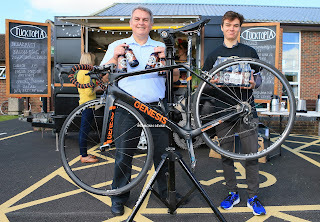 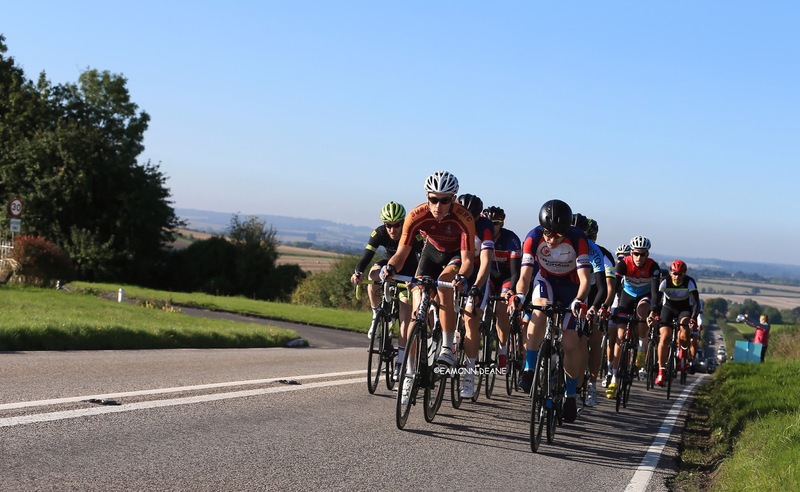 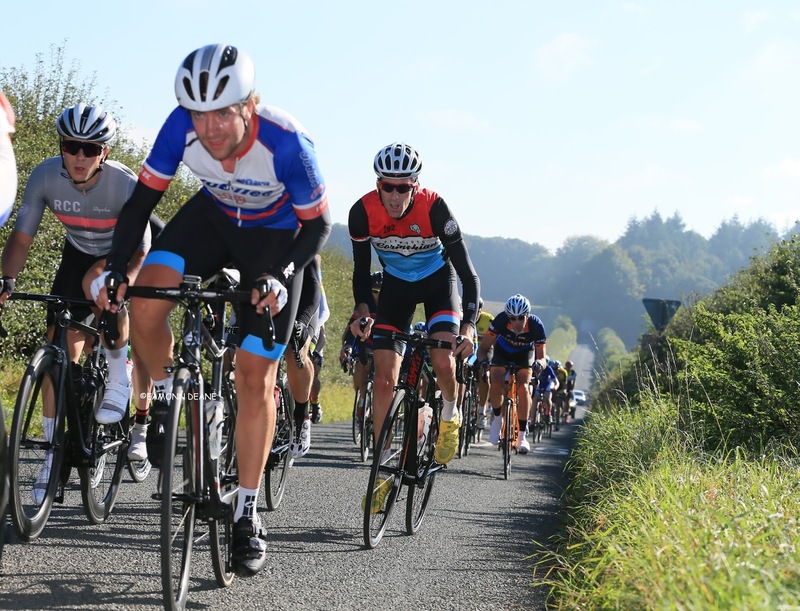 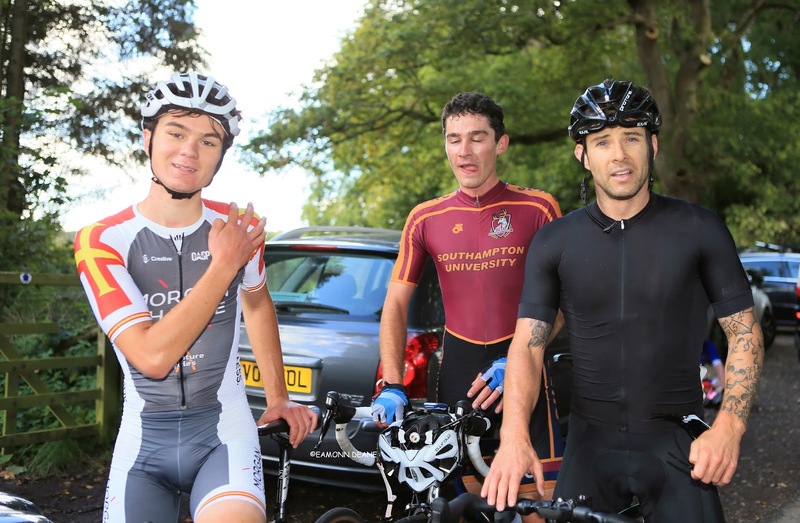 Jack English (Morgan Sharpe PB Adventure Cycles) won the weight of his bike in beer as he comfortably dispatched breakaway pair Sam Davies (Royal Navy & Royal Marines CA) & Harry Chamberlain (Southampton Uni RC) at the Pimperne Road Race in Dorset. The 19 year old from Guernsey had pulled away with Davies, Nicholas Anderson (Salt & Sham CC) and Chamberlain who had initiated the move, taking the first prime in the 56 mile race. 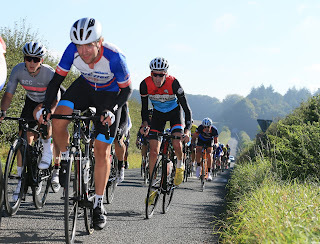 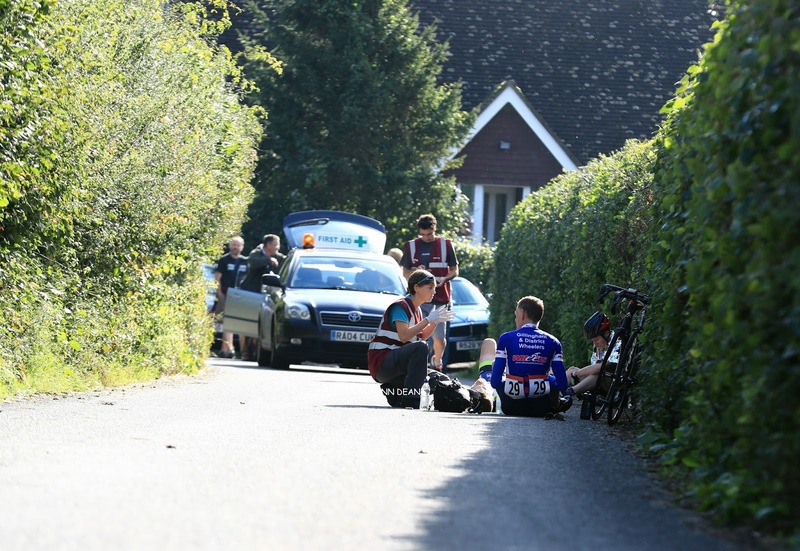 A crash on the first lap through the narrow lanes of Tarrant Gunville had helped keep the race together but it was "game on" now. 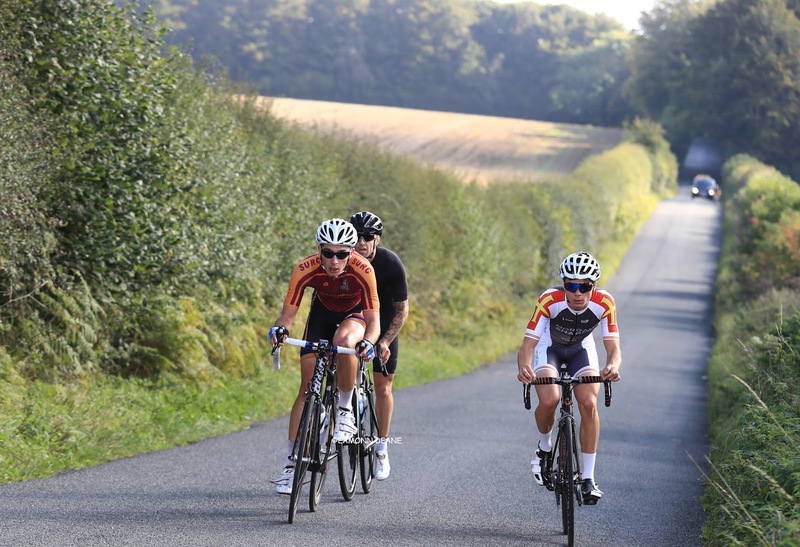 The four held a slender lead of just 15 seconds as they climbed Stubhampton Hill on the second of four, 12.3 mile laps. Some hard work and some indecision in the bunch saw the lead grow to 24 seconds as they reached the top of the rise turning left onto the Blandford road. 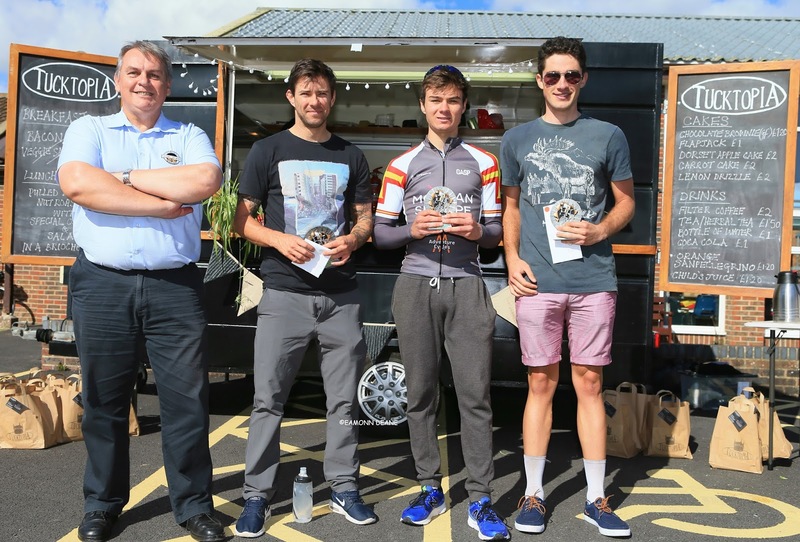 The time for action was now, anyone with ambitions had to be up the road with these four, after just 18 miles of racing the writing was on the wall. 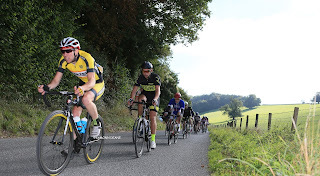 The third time up Stubhampton the lead had gone out to 1min 09 secs, Anderson had contributed well but could not hold the wheel, slipping back to the bunch to eventually finish in 20th place. 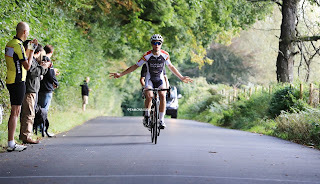 On the bell lap the advantage stood at 1 min 35 with all three looking capable, Chamberlain by his own admission cannot sprint and went with 500m to go, Davies followed the cramping Chamberlain and made his move at the 250 mark "I thought i could have him but he just stuck on my wheel" English timed it to perfection, "I felt ok on the last climb, i always seem to get a bit stronger as it goes on, i don't usually like sprints but its uphill so its good" English, who finished 7th at the Southern Region championships at Stockbridge in June, looked too good to be a 3rd cat. 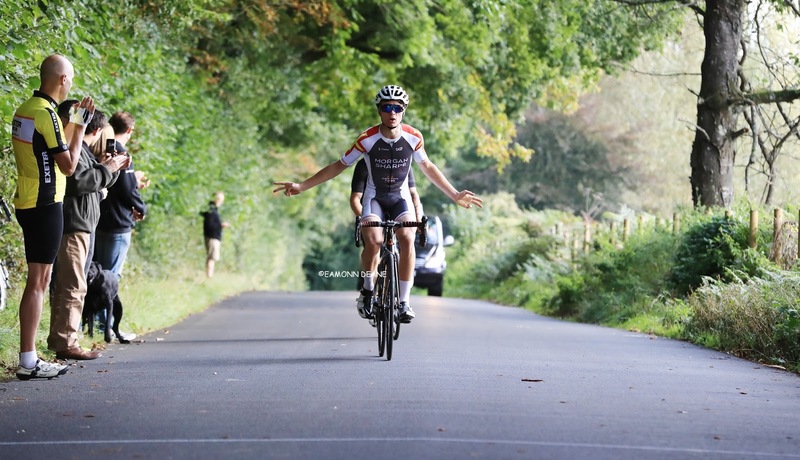 "I've raced in France & Belgium a bit but i don't race much on the mainland so i don't get many points, this win gets me my 2nd cat licence" he explained.